Before discussing the legal complexities involved in translating a will, we need to understand what a business will is. A business will is an agreement which is drawn by legal experts on behalf of the owner/owners of an enterprise. This document designates the next legal owner of the business, in case the actual owner dies or is physically indisposed. But apart from establishing the next owner, a business will lays out the entire business succession plan. It states the financial, managerial and operational policies of a company to which the successor must adhere, thus ensuring a smooth transition of the business. It also determines the stake of each beneficiary in the business, that is, the staff, family and investors. In short, a business will is a document which is the final word on the responsibilities, obligations, policies and funding concerns of a company or organization after the death of its owner. The translation of a business will comes under the category of legal translation, for a will is drawn up with the help of legal advisers of a company. In case the stakeholders in a business come from different linguistic and cultural backgrounds, there is need for the translation of the will. For instance, if the beneficiaries of a business speak French, Spanish and English, the original business will should be translated in each language. A business will is a confidential document which cannot be disclosed before the death of the owner. This sensitive document should be kept strictly confidential by the law firm and translation company. The certified and notarized translations of a will must be identical duplicates of the original document, as well as of each other. Any discrepancy in the translations can lead to confusion and unnecessary delay in the implementation of the will. All legal documents have a specific jargon which must be maintained in every translated version. The legal and corporate terms in a business will can only be translated by an certified legal translator. It is very important for a business will to be translated by a certified translation services company whose translations can be trusted. If the authenticity of a translated will is questioned by its beneficiaries, complications will follow that can be avoided. A translation company hired for the translation of a will must have a reputation for carrying out accurate translations that can be certified and notarized. A legal instrument such as a business will is written to achieve specific legal objectives. These goals may include ensuring proper management and control of the business, ensuring viability, establishing future insurance policies, and maintaining a regular pattern for monetary dealings and payouts, etc. A business will is also a form of guidance for the new caretaker, instructing him/her on how to manage business debts and deal with personal guarantees, and professional obligations. A successful translation of the business will fulfills the same objectives. The construction sector in the Middle East in 2012 has shown an obvious upward trend and the outlook for 2013-14 is more positive. Increased investments in the field of IT, private and public sector construction projects and the rising demand for sustainable construction seem to be the key drivers of this growth. The rise of optimism in the number of executives surveyed in the worldwide construction industry has led to speculation that construction prospects in 2014 would be a lot better than what they were in 2012. In the global construction industry, more than half the people are positive about the revenue growth expectations over the next whole year compared to what they were a year back. Executives in the global construction industry expect to see enhanced levels of consolidation and anticipate an increase in the number of mergers and acquisition tasks. With a slack recovery in the economy and a weak market scenario, there is a rising need for large construction houses to expand their global presence. One of the key drivers for various kinds of acquisitions and mergers is the the growing costs exerting an increased amount of pressure on small and medium construction companies. As the promising emerging markets for 2014 are located in Saudi Arabia, UAE and India, China and Brazil, economists foresee a growing demand for Arabic, Hindi, French, Chinese and Portuguese translation workers. The translation workers would be engaged in translating and interpreting contracts and documents between the provider and the client. This will simplify transactions and lead to a flourishing real estate industry in the Middle East. Development in housing, roads, ports, aviation, power generation and infrastructure has been touted as some of the best pockets for prosperity. Translation workers can appropriately translate online data, analysis as well as extend advisory services for the financial and industrial sectors. The fast pace of today’s business environment makes room for its rapid growth beyond national borders. This is why translation services are becoming more popular than ever before. This is a sort of specialty translation that is being used in a variety of situations such as international financial transactions, intra-office communications, compliance with local rules and regulations and record keeping purposes. Different types of documents might require the attention of trained financial and legal translators and these include shareholder information, annual reports, accounting information, marketing materials advertising financial services and financial market announcements. For this very reason, the demand for translators is on the rise. As modern technology continues to develop, the quality of technical translations too, keeps on improving, which has led to a growing demand for translation workers and interpreters. Providing the highest quality of services, the documents they produce – or re-produce – are very important to the persons in question. This is because they comprise a permanent record of the business and give the people the data they need for carrying out sales, paying taxes and to succeed in their endeavors. When it is important to translate the financial documents into other languages, the translators make sure that all the information is transmitted carefully and precisely. This is why it is very important to entrust the task to responsible services in a bullish construction market. Humans can choose to interact through different levels of communication that correspond to the purposes, complexities, and rigidities of language. Conversational language, for example, may be the easiest level of communication that a person uses. This level is commonly brought into play in informal settings, when friends talk to peers, when talking to family members or colleagues, or generally, when socializing with others. Translated into different languages, the level of conversational language may be the easiest to adapt to, in spite of the challenging problems of conveying the meanings of idiomatic and slang expressions, which are common in informal language. Then there are academic levels, in which terms are definitive, often using the jargon of an academic discipline. Furthermore, the sentence syntax and vocabulary commonly tend to formality, implying adherence to grammar standards and precise vocabulary. In these situations, the main purpose is to instruct, and the words are commonly clarified and expanded on. Poets and authors often use figurative speech and rely on symbolism and images, often also rhythms and cadences, to paint a more dramatic and compelling picture. This kind of language is used to tell a story or arouse powerful emotions to impact an audience in a certain way. The most complex or rigid type of communication is probably one that is attempted by professionals in a certain technical specialty-people like doctors or lawyers, who adhere to very specific terms to describe precise conclusions and accurate decisions about their patients or clients. Legal writing, however, may be different. When translated into a different language, legal terms are probably the hardest to capture accurately because of the cultural understanding embedded in each of the terms. What’s more, the laws in different countries do not exactly correspond to each other, and the legal systems themselves may have developed from totally different precedents. Laws and legal language depend on the prevalent beliefs subscribed to by the nation and the ways in which the history of the beliefs translates into the legislation. 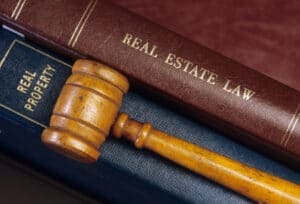 A majority of Americans are familiar with how all persons involved in the legal system carefully choose every word uttered in the courtroom and the proceedings leading up to trial. For example, the statement read to every person facing arrest, “You have the right to remain silent. Anything you say may be used against you in the court of law,” famously protects the individual’s right not to incriminate him or herself, as guaranteed by the Fifth Amendment. Given the sensitivity of anything that a person says, how much more sensitive will adjudicators be if you translate the law of one country , such as specific stipulations in their constitution, in an erroneous way? Whether you are using translation services for the purposes of your business, for immigration, or for other issues, you can never be complacent with just the literal translation of the words. You will have to understand the context of the whole law and what exactly it means in the target language to understand what exactly you will have to adhere to. It is important to appreciate these nuances in language, to understand how complex and how challenging it is for legal translators to translate legal documents. One little mistake or mistranslation can cause prolonged litigation and greater costs. Clearly, if you are the person needing legal translations, it is important that you protect your interests by insuring that your documents are translated by professional translation services that have broad experience in the field. Going through legal processes is onerous enough without opening yourself to avoidable mistakes and inexact language that can delay or cancel the project you hope to complete. Therefore, make sure that you have all the bases covered well by seasoned professionals in the translation business. Conflict is a natural part of the life of a group, an organization, or a team. Conflicts arise for various reasons: competition for funds or resources; disagreement about the allocation of duties and responsibilities; power ambitions or a clash of values, attitudes, style of work and personalities, and even sometimes – from simple misunderstandings. Undoubtedly the term conflict has a negative connotation. However, in the opinion of some notarized translation professionals, in particular, conflict can be not only destructive, but also constructive. If managed in a proper way, it can bring up important issues, increase the personal commitment to strong results, and generate fresh ideas for solving various problems. As the workers from an Arabic translation say, to be a highly efficient member of a team does not necessarily mean that you will be enjoying every minute of your work and that you will be OK with everything or everybody; just the opposite – even teams that experience some interpersonal conflict can excel if effectively managed. (4) parties can be treated on equal basis in terms of power or influence to impose their view. Team members can resolve conflict through communication, openness, research flexibility, alliance and last, but not least – fair play.